The Goldtouch Ambidextrous Wireless Mouse allows your hand to be free of any muscle aches that commonly occur during normal mouse use. Goldtouch proudly delivers a comfortable mouse that would mirror a hand in a weightless environment. The Ambidextrous Wireless Mouse can be adjusted on a 24-degree angle position, that stops your hand resting in a static position. This allows healthy muscle movement and increases productivity throughout your workday. A handy feature of this wireless mouse is the addition of an extra large padded thumb support that allows you to maintain a secure hand grip at all times. Equipped with a plug and play operation, you won’t have to waste time installing any additional drivers. 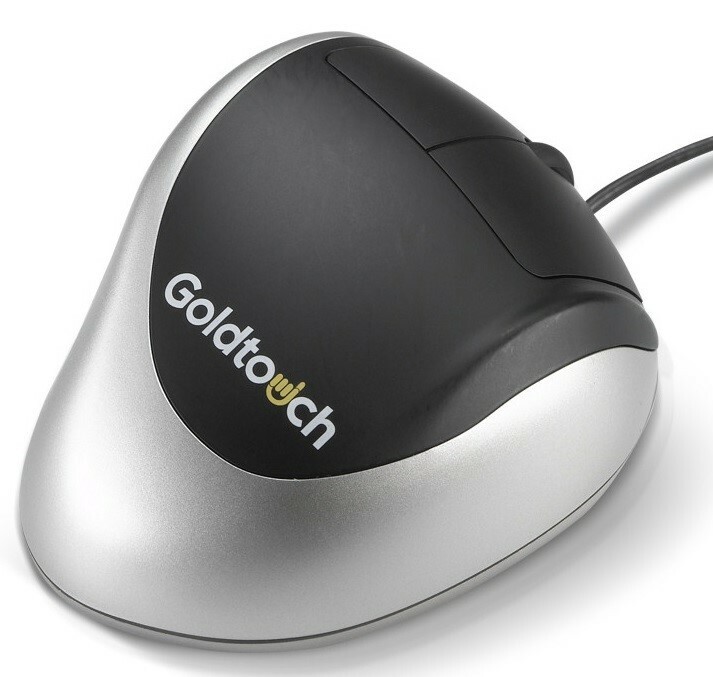 The Goldtouch Comfort Mouse is available for left handed and right-handed users.